Holiday China Tour specializes in join-in group Guilin bus tours service for individual or small group travelers to save time and money and see the best of Guilin, Yangshuo and Longji, Longsheng. 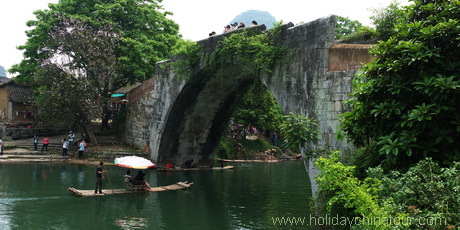 Our Guilin bus tours cover the most famous scenic-spots in Guilin. We provide hotel pickup and drop off service. 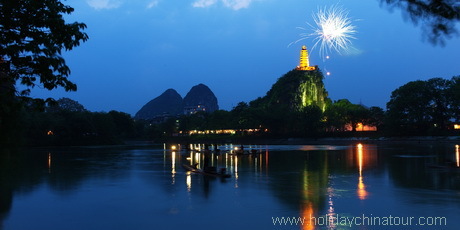 Join our Guilin bus tour you will see the most famous attractions of Guilin at the lowest price. Daily departure Li River cruise bus day tour. Daily departure Guilin Bus tour to Elephant Trunk Hill, Reed Flute Cave, Fubo Hill and Seven Star Park..
Daily departure motorized bamboo rafting tour goes from Yangdi to Xingping River, the essence of the Li River. 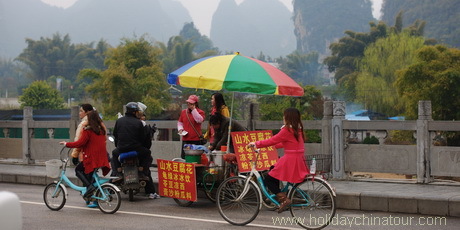 Daily departure half day Yangshuo Countryside Tour. Day 1 Guilin airport pickup and stay star hotel in Guilin. Day 3 Join in Longji bus tour, depart from Guilin or Yangshuo. Day 1 Guilin airport pickup and stay in 4 star hotel in Guilin. Day 2 Join in Li River cruise bus day tour. Stay in Guilin hotel. Day 3 Join in Longji bus tour, stay in Longsheng Hot Spring Resort. Day 4 Free in Longsheng Hot Spring National Park, back to Guilin in the afternoon. 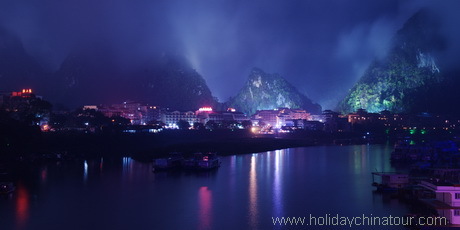 Day 1 Guilin airport pickup and stay in star hotel in Guilin. 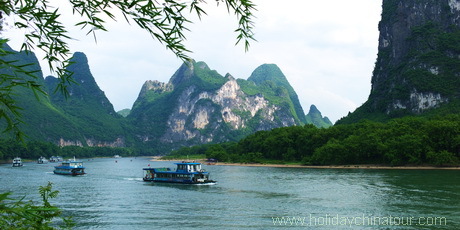 Day 2 Join in Li River cruise bus day tour. Stay in Yangshuo hotel. Day 4 Join in Longji bus tour, stay in Longsheng Hot Spring Resort. Day 5 Free in Longsheng Hot Spring National Park, back to Guilin in the afternoon.